In the early 1980s, Merril Mushroom wrote Bar Dykes, a one act play about the gay bar culture of the 1950s. A longtime resident of Dowelltown, Tennessee, Merril has an enduringly rich herstory both locally within her neighborhood and the larger world, as a prolific writer and a “back to the land” lesbian. The area in which she has spent the last forty years has an extensive history of collective land projects established specifically for gays/queers/gender nonconforming people. Merril is an iconic fixture with her sharp wit and casual no nonsense attitude—a respected elder, she is an inspiration to many, both residents of Tennessee and its yearly visitors. While influenced by the radical culture of the 1960s/1970s, Merril and her work remain a timeless and formidable force to be reckoned with. Last year a fire tragically consumed Merril's entire home along with her archives. Friends and community members have been sending Merril books and copies of her work to help rebuild her library and personal collection. Among the many thoughtful donations was a copy of Merril's play, Bar Dykes. Around the same time, Faythe Levine and Merril met for lunch, where the two discussed dyke bars, the culture surrounding them, and how things have changed over the decades. 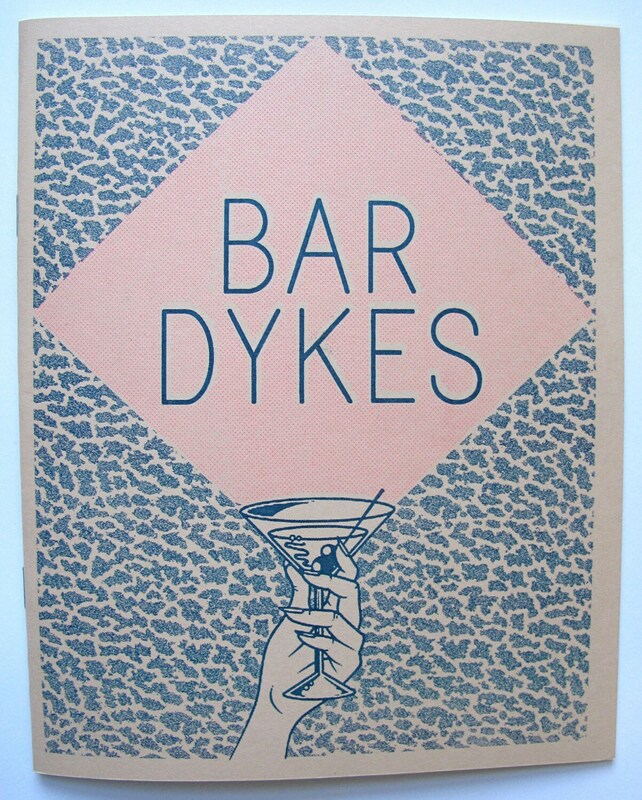 Merril shared the copy of Bar Dykes she had recently been reunited with since losing her archives. Faythe proposed collaboratively republishing the play with their mutual friend Caroline Paquita through her publishing house Pegacorn Press. Over the course of six months, and across several states the trifecta updated the old manuscript to include a current interview with the author. 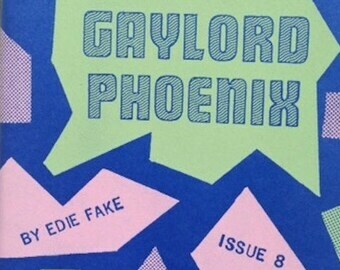 In an era where dating apps have seemingly replaced “cruising,” the much needed archiving of the dyke bar culture of the twentieth century has become imperative, in order to record this rapidly disappearing underground herstory. With this publication, we hope to preserve not only the cultural legacy of Merril's work but to share her herstory with a larger audience. Contemporary conversations surrounding queerness and gender nonconformity have made massive strides towards breaking down ignorance, intolerance, and hate. These advancements have been wrought with persecution, police brutality, and death. By republishing Bar Dykes and the accompanying interview, we not only celebrate the life and work of Merril Mushroom but also honor those who have fought to live freely, love whom they want, and make the world a safer, more accepting, and interesting place. We recognize there is still a long way to go—Bar Dykes offers new perspectives on our past, acting as a catalyst for progression into the future. 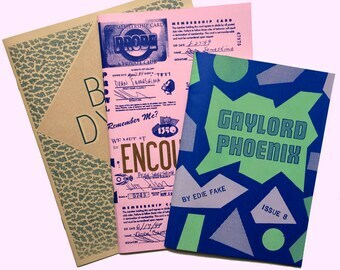 ***Only 5 copies of Bar Dykes per order will be honored—anything above that will be refunded. For wholesale inquiries, please message to make further arrangements. Thanks! 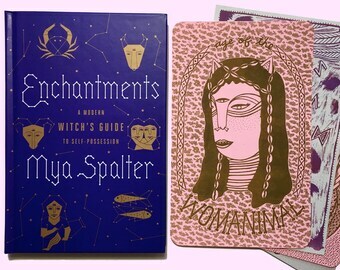 Set of Mini-Witchy-Womanimalistic Riso Prints + a copy of "Enchantments: A Modern Witch's Guide to Self-Possession"
Thanks! Shipped right on time. Great, speedy service. A+++! Thank you! Once your payment has been received, your art/zines will be packaged and sent to you as soon as possible. As a general rule, no refunds or exchanges are made, sorry. Most of the publications and/or art are very affordable (ie- accessible/cheap) and I try to describe it concisely, in order to avoid any confusion. If you have any questions or concerns, please contact me prior to your order. In the unlikely chance that an issue may arise, let me know and we can figure out an amiable reconciliation. Only then, depending on the circumstances, a refund or an exchange may be an option. During especially busy times of the year (Thanksgiving up through the New Year), please expect delivery times to be drastically slower. Domestic shipping that normally would be delivered within 3-7 days, can take up to 2-3 weeks. International orders should always expect a delivery window of 2-4 weeks, no matter what time of the year. Patience is key! I am not Amazon with next day delivery, so please understand that we are dealing with snail mail USPS, which can be excruciating at times. If your order does not arrive within a month, it is only then considered lost, so please let me know and we will make further arrangements. You can let me know that it hasn't shown up beforehand, however there isn't much for me to do once I have sent your order out—it can be a waiting game with USPS at times. Unless you specifically contact me to arrange tracking, there is no tracking information associated with your order, as I usually self-stamp all my envelopes. Shipping costs are subject to change and are based on current USPS rates and handling expenses. If it makes sense to ship items separately from each other, that is typically indicated in the listing itself. If there are any questions at all, please feel free to get in touch—I don't mind making a special listing for you with the desired items, proper shipping, etc. Publications are sent out in non-padded envelopes to make shipping costs more affordable and if any extra packaging is used, it is typically made out of recycled materials. I make every attempt to package things in a way that will insure that they will arrive intact, however, I can't guarantee that USPS will treat it as carefully as I do. Since it can get confusing, I tend to only list basic shipping costs, however I openly welcome any and all international orders. If you don't see your country listed, please contact me about what you'd like and we will figure out the best international shipping options. Of course, if you have any further questions, please feel free to reach out and I will get back to you within 1-2 business days. Thank you for your interest and support of Pegacorn Press! Please contact me concerning customized notes to accompany your order and/or wholesale and consignment possibilities.